I strongly advise you keep this clock out of your home if you have children who are learning to tell time. 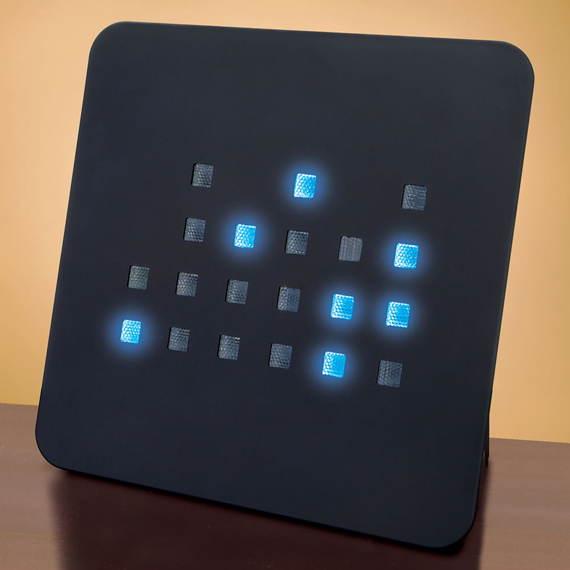 With the Base Two Binary Clock, it won’t happen. It uses binary notation to display the time. Mimicking the same on-and-off calculation as electronic systems from the dawn of the Computer Age, this clock has six columns of blue LED lights, wherein every two columns represent the digits for hour, minute, and second. From bottom to top in each column, individual lights represent the values 1, 2, 4, and 8. Simply add the values of lit units to decode the digit represented by each column. 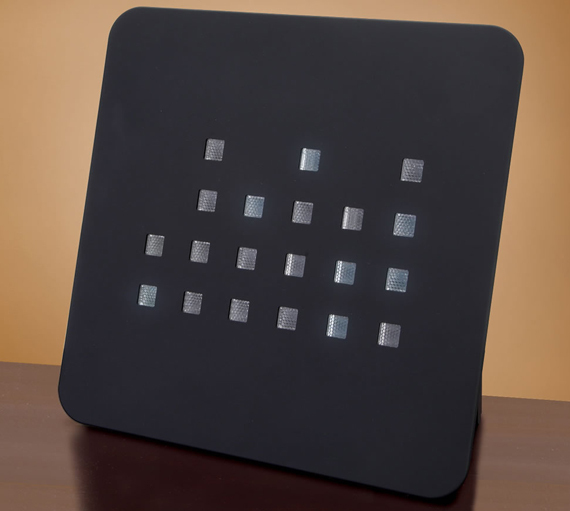 Or, simply look at your phone, oven to cable TV box and screw this clock. My 8 year old binary clock just quit. So sad. They were less than $10.00 shipped from China when I bought it. Now they’re $50.00. Crap! Grandpa, What's That Thing On The Wall?